While the First World War was fought in the trenches as a battle of attrition, the Second World War defined 'conflict in motion'. 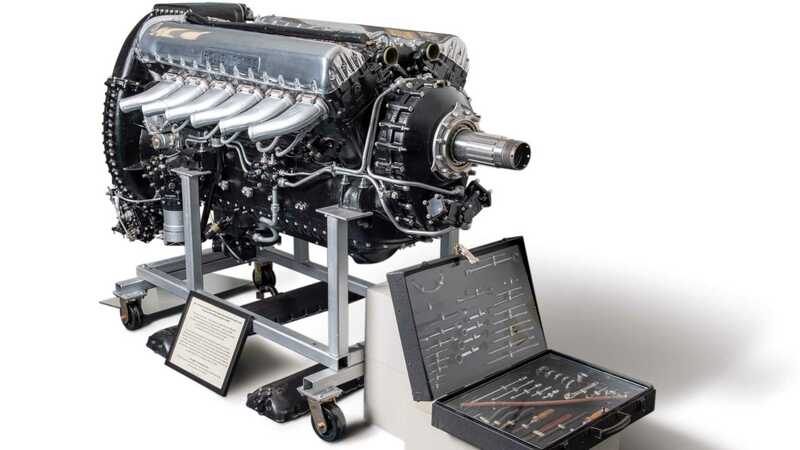 Advances in engineering meant that military vehicles played a larger part than ever – none more so than the celebrated Submarine Spitfire; a single-seater fighter plane powered by Rolls-Royce's indefatigable V12 engine. In the world of aircraft, allied forces claimed that there was no sweeter sound than that of a Rolls-Royce Merlin V12 flying overhead. Besides a gloriously radiant noise, the twelve-cylinder snarl brought comfort and reassurance to those under enemy fire. When the Spitfire cut through the smoke of conflict, it did so with devastating effect. Worshipped by those who relish their freedom and ultimately respected by engineers and historians, here's your chance to own an example of the powerplant credited with conquering the battle for Europe. 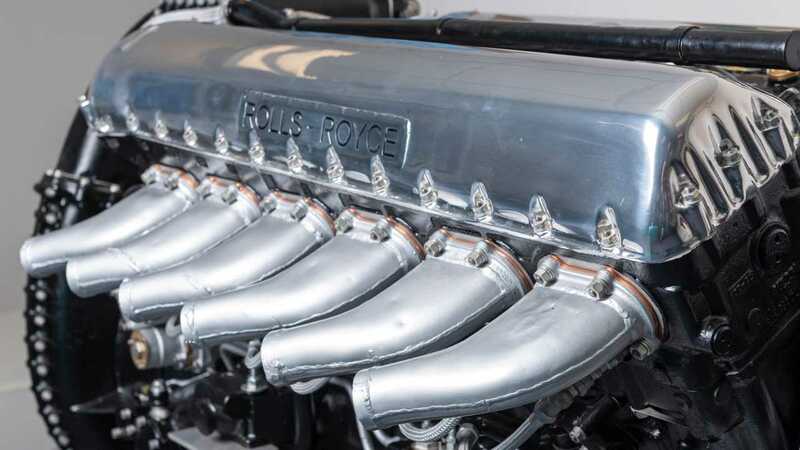 Heading to auction with RM Sotheby’s is a beautifully presented Rolls-Royce Merlin V12 engine. It comes mounted for display and accompanied by a rare Rolls-Royce service toolkit. As a mechanical sculpture, it is a great thing to look at with its distinctive shape and intricate craftsmanship — especially for something that was produced during financial wartime shortcomings. Quite frankly, it's a work of art. 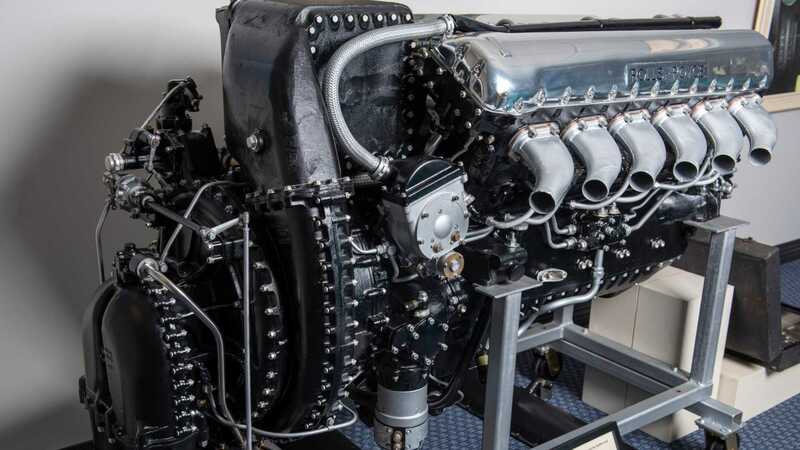 The Merlin unit remains widely regarded as the powerplant that 'won the war', as – after various modifications – it found a home in virtually everything. From aircraft to boats, the Merlin was eventually redeveloped for employment in tanks and larger vehicles as the Meteor engine. Arguably, the most famous home was that of the Supermarine Spitfire, a combination that created a superior fighter to anything Germany could muster. Its use in the Hawker Hurricane was also undoubtedly a key contributor to the ally’s victory in the Battle of Britain. Across the pond, a variant of this engine – called the Packard V-1650 – went on to power the North American P-51 Mustang. Its distinctive engine note was first heard in 1933 as a Rolls-Royce private venture. The engine initially produced 1000hp, but as it was developed over the course of the war, latter examples had an output closer to 1800hp. 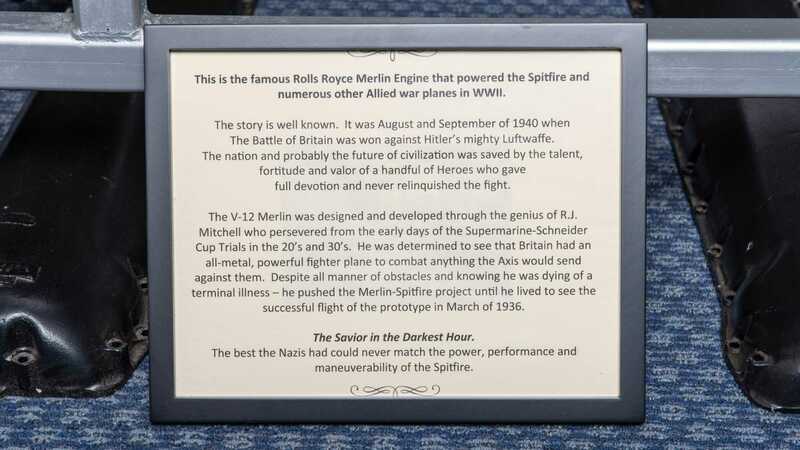 In total 149,695 Merlins were built through 13 generations. The example in question will go under the hammer at RM Sotheby’s Guyton Collection auction running 4 - 5 May 2019.